It’s not a very pretty picture when you open the hood on dealer financials in new and used vehicles. New Vehicles: At the end of 2013, dealers had averaged 818 new vehicle retail sales, with an average gross profit of $1,174/car (3.7 percent of the selling price). At the end of 2015, dealers averaged 916 new vehicle retail sales, with an average gross profit of $1,088 (3.3 percent of the selling price). At the end of August of this year, dealers averaged 615 new vehicle retail sales, with an average gross profit of $993 (2.9 percent of the selling price). Between the end of 2013, and the end of August, the average new vehicle selling price grew from $32,035 to $34,193 (a 7 percent increase). Used Vehicles: At the end of 2013, dealers had averaged 663 used vehicle retail sales, with an average gross profit of $1,584 (8.8 percent of the selling price). At the end of 2015, dealers averaged 677 used vehicle retail sales, with an average gross profit of $1,534 (7.9 percent of the selling price). At the end of August of this year, dealers averaged 486 used vehicle retail sales, with an average gross profit of $1,493 (7.5 percent of the selling price). Between the end of 2013, and the end of August, the average used vehicle selling price grew from $18,081 to $19,886 (a nearly 10 percent increase). Total expenses: At the end of 2013, dealers had an average of $5.46 million in total expenses, which translated to 11.1 percent of total sales, and 92.6 percent of total gross. At the end of 2015, dealers averaged $6.1 million in total expenses, which translated to 10.8 percent of total sales, and 92.8 percent of total gross. At the end of August, total expenses were averaging $4.3 million, which translated to 10.8 percent of total sales and 93.8 percent of total gross. I know. That’s an awful lot of numbers. I apologize for the financial minutiae. But I think anyone who carefully absorbs these numbers can only come to one conclusion—dealers are investing more in the new/used vehicles they sell, spending more to operate their stores, and reaping ever-smaller rewards for the privilege of being an auto retailer. 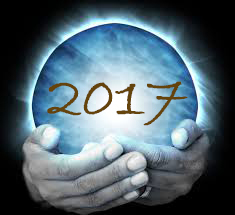 As I look ahead to 2017, I don’t think anyone believes these financial realities will get any better, particularly as predictions for a softer new car market, and a more challenging used vehicle market, increasingly appear likely to prove true. So what can dealers do to increase profitability? I don’t think the answer lies in cost-cutting. Yes, the rise in total expenses may reflect some ill-advised spending by dealers. But, as a whole, I believe the expense increases reflect the ongoing costs of being a dealer in the 21st century. As a result, it’s difficult for me to see how even Draconian expense reductions would provide significant margin relief for dealers. Inventory management: In the coming year, it appears less likely that dealers will be blessed by ever-growing demand for new/used vehicles. This reality means dealers must find a way to increase sales velocity on their own accord—by knowing what the “right car” means for new and used vehicle buyers in their market, obtaining these vehicles as cost- and time-efficiently as possible, and getting them on the front line and online in less time than it takes today, with merchandising, pricing and promotion that reflects the need for a faster pace of retail sales. Customer experience: If you haven’t begun to shrink the time you require of customers to purchase a new or used vehicle, the time has come to make this a priority. Progressive dealers use a combination of the right cars, transaction-transparent pricing and online e-retailing tools that give buyers a sense of confidence and control. By design, these measures minimize the time required to complete deals in the showroom and yields more profitable transactions. Marketing: Between the end of 2013 and 2015, the NADA data shows that dealers still pay an average of $607/car in advertising expense. To me, this is a head-scratcher. With less costly (and ostensibly more effective) digital advertising at their disposal, shouldn’t this per-car cost be trending downward? To me, the same-same nature of this expense cries of inefficiency: Dealers are investing in the wrong advertising channels and/or rendering the right investments less effective through ineffective execution. People: Turnover remains a persistent problem for most dealers, particularly in variable operations. If you ask the experts, the problem owes to poor hiring decisions/process, a dearth of clearly defined career paths, income uncertainty, and unrealistic work schedules. Dealers who successfully reduce turnover typically address each of these areas, and end up with happier, more productive and profitable employees, as well as improved customer retention and satisfaction. The good news here is that all of these efficiency opportunities exist, in some form or another, for virtually every dealer. Better still, these opportunities fall directly under a dealer’s control and discretion—making increased profitability in the coming year a matter of choice and priority. Happy holidays to all. See you in the New Year! Thank you for another great article Dale! Next post: Used Vehicle Pop Quiz: Why Is One Dealer Doing So Much Worse?